IHG (InterContinental Hotels Group), one of the world’s leading hotel companies, has today announced the promotion of Willemijn Geels to Vice President of Development, Europe. In her new position, Willemijn will be responsible for driving the expansion of the group’s brands across the European Business Unit, encompassing luxury, upscale and mainstream opportunities through managed and franchised deal structures. In addition to identifying new opportunities, Willemijn’s team will continue to work closely with owners and investors in a support and advisory capacity to drive long-term revenue. Willemijn, who is fluent in five European languages, will remain based in IHG’s Paris office though will travel extensively across the region. Her wider development team is located throughout key markets in offices in Europe including London, Frankfurt and Moscow, with further expertise on the ground in other markets applying local knowledge. Willemijn brings to the role 20 years of experience in the hospitality industry and holds an MBA in International Hospitality Management. 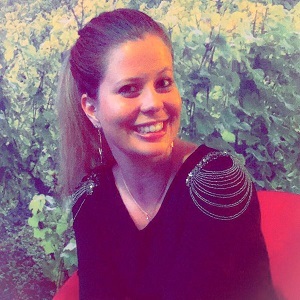 Prior to joining IHG in 2015, Willemijn was Development & Acquisitions Director for Europe at Louvre Hotels Group. She also gained experience in Deloitte’s Transport, Hospitality and Leisure team in Paris, where she led multiple hotel valuations, feasibility studies, and transaction and strategic advisory assignments. The move comes at an exciting time for IHG’s European business, which has played a significant role in driving the highest number of signings and openings in the region for 10 years. Further opportunities lie in the strong growth of new upscale brand voco and new mainstream brand avid the expansion of luxury boutique brand Kimpton Hotels & Restaurants and the recent acquisition of wellness and sustainability brand Six Senses Hotels Resorts Spas, which sits in the top-tier of luxury. The news follows the recent announcement of two new senior appointments in the Europe Development team: Josh Littman, Head of Luxury Development, Europe and Jon Colley, Head of Development UK&I, who will both report into Willemijn and further reinforce IHG’s development presence across Europe.